While most of the preliminary tax litigation in India is centred around the ITATs, the Authority for Advance Rulings (AAR) also plays in important role in resolving tax issues before they get a chance to hit proper litigation. It is an independent quasi-judicial body which can give give rulings on taxation queries presented by Non Residents and certain classes of residents. However, the decisions of the AAR are binding only on the specific transaction on which an advance ruling is sought. We decided to break down the litigation at the AAR level with the help of data analytics. Here are some of the insights that we drew. Up until 2014, only Non Residents and certain residents having dealings with Non Residents were permitted to approach the AAR for a ruling. However, post 2014, residents belonging to a notified class can also approach the AAR for rulings. 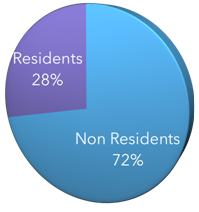 Overall, the breakdown of Non Resident vs. Resident litigants looks like this. The most common subject matter of litigation amongst residents are these. The most common sections involved in resident AAR rulings are as follows. When Non Residents approach the AAR for rulings, their queries are mostly based on the following subject matter. 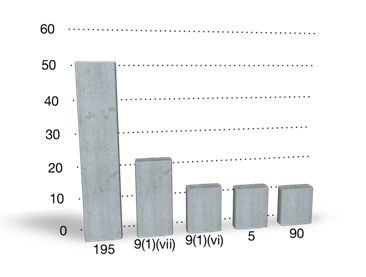 The Sections which are in play the most during Non Resident litigation are these. As is evident form the data, the AAR tends to mostly deal with questions relating to TDS on payments made to foreign parties. A look at the sections reveals that it is also common for both residents and non residents to pose questions on whether income from a certain activity would be deemed to be accruing in India. This brings us to our next substantial facet of AAR litigation. Since most of the litigation in AAR tends to revolve around activities of non residents in India or payments made to non residents, the single most important factor that governs AAR rulings are Double Taxation Avoidance Agreements. 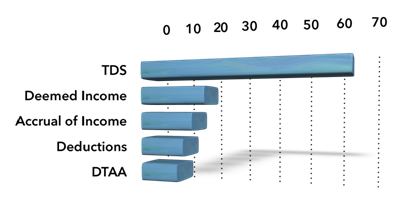 A jurisdictional breakdown of DTAA’s gives us the following picture. Since AAR judgments are binding on the applicant and the revenue only with respect to the transaction mentioned in the application, it is in the obvious interest of the litigants that the cases be disposed of as expeditiously as possible. However, over the years, the AAR has seen a sharp upswing in the amount of time taken to decide cases. 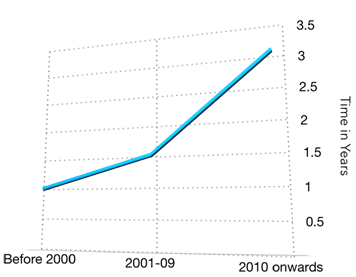 As the graph alongside shows, cases filed on or after 2010 took, on an average, 3 times longer to be disposed of by the AAR than cases filed before 2000. This is consistent with the most common criticism the applicants have to offer for the AAR’s procedure. Even though AAR rulings are transaction specific, the Authority does not shy away from using precedents to reinforce its opinions in Rulings. 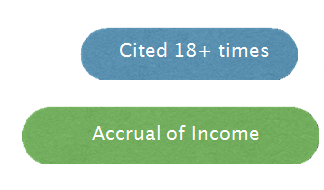 The following cases are the most cited precedents in AAR Rulings. 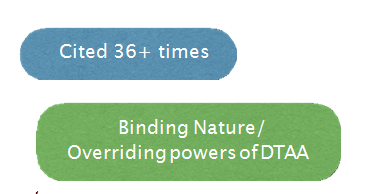 While the AAR was envisioned as a forum which could reduce litigation by providing quick answers to specific tax queries of appellants, the slow rate of disposal and the usual trend of Court decisions in appeals arising out of AAR Rulings (as can be seen in the non-exhaustive list below) has made appeals to the higher courts in High Value Cases almost a fait accompli. DIT vs. Morgan Stanley & Co.
Technip Singapore Pte. Ltd. vs. The most recent ruling of the AAR in MasterCard Asia Pacific Pte. Ltd. has also been challenged before the Delhi High Court in a writ petition. It will be interesting to note whether this case also follows a similar outcome trend with respect to appeals from AAR rulings. We are a legal tech firm that works at the intersection of law and technology. The Riverus Strategic Income Tax Research Tool offers you access to the largest income tax law database along with unprecedented insights from data analytics that help you accomplish your research more quickly and efficiently. We also offer data driven bespoke services for those problems that vex you to no end. Reach out to us at hello@riverus to know more!